"Great team!!! Chuck and Nate were so accommodating and easy to work with! I would totally suggest using Raven Sound. My guys said it was the best they had ever heard on stage. 0 ZERO - Problems. " 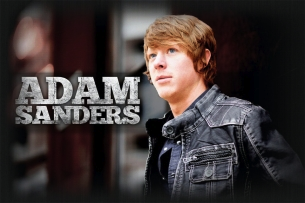 Lake City, Florida native Adam Sanders moved to Nashville in 2009 in pursuit of fulfilling a dream he’d had since he was 3…becoming a household name in country music. After just two years, Adam landed his first publishing deal. He is currently a staff songwriter with Big Yellow Dog Music and has had songs recorded by super stars such as Luke Bryan, whose album Crash My Party (featuring Sanders' "Out Like That") had the third highest debut of any record in 2013. Adam continues to write songs, while working on fulfilling his next goal of becoming a household name in country music. Two Weeks prior to working with Raven Sound at Edinboro University's Spring Concert, Adam Sanders played at Track 29 in Chattanooga, TN on Raven Sound's Southern System. Both Shows received great reviews from Band and crew.